Given his great popularity in the West over the past few decades, you would think that Japanese potter Tatsuzo Shimaoka would have had an exhibition in Washington D.C. But he hasn't -- until now that is. A selection of Shimaoka's mingei pottery is currently on view until September 28th at the Japanese Embassy's Information and Culture Center. Shimaoka was designated a Living National Treasure by the Japanese government in 1996 for developing a pottery technique where white clay slip is applied to rope impressions made in the surface of the pot when it is still wet -- something he calls Jomon Zogan. The technique is actually a combination of the Korean Yi Dynasty process of applying slip to decorative pottery indentations on the one hand, and the decorative rope impressions seen in ancient Jomon pottery on the other. A key element to Shimaoka's vision was his late father -- an accomplished silk cord artisan whom Shimaoka asked to create braided ropes for his new art. By rolling braided ropes with varying designs over the surface of the wet clay, Shimaoka has been able to create wonderful surface textures highlighted by the slip; in a way a spiritually collaborative effort with his parent. 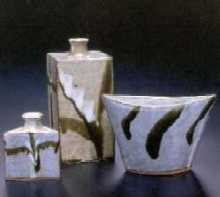 The variety of impressed designs, firing techniques and types of clay used by Shimaoka have resulted in an extraordinary range of work. A climbing kiln with five wood fired chambers allows for glazed works, blue-salt fired works, and rare yohen fired works with sporadic build-ups of natural ash glaze over pottery surfaces with beautiful colors and textures created by the heat and flames of the fire box. In some works, enamel decorations are applied after the firing and the pots are then re-fired in a gas kiln. All basic techniques are shown in the exhibition.  Shimaoka considers his pottery, and the process of making it, to be "mingei" (folk craft). The term was popularized by Soetsu Yanagi in the last century and describes the simple art made by craftsmen centuries ago who, without artistic aim or pretense, were able to create functional objects of great beauty. 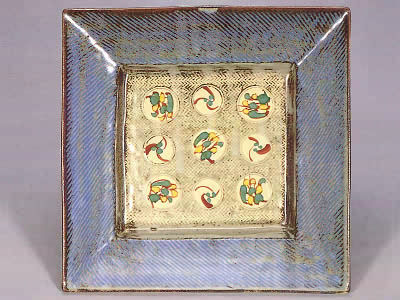 Japan's most famous potter proponent of mingei was Hamada Shoji whom Shimaoka was apprenticed to for three years. Like Hamada, Shimaoka employs several talented assistants and apprentices in all areas of the making, for the production/collaborative element of this art is a key ingredient. Shimaoka knows that his pottery is not mingei in the strict sense. He is a modern artist with artistic ambitions. But he never loses sight of the principle that great beauty can result when the head is clear and conscious artistic goals do not outweigh the free nature of the process. Having apprenticed to such a famous potter, Shimaoka's work has inevitably been subject to comparison with Hamada's. In a way Shimaoka has contributed to this by continuously acknowledging his master's heavy influence. Some have been quick to point out that Shimaoka's brush or forms are not as fluid as his master's. But to make comparisons is beside the point. Shimaoka is his own man and with Jomon Zogan, Shimaoka has written a unique chapter in the ages old art of pottery making. Yet there is something even more important happening here, for Shimaoka's work, in addition to (or in spite of) its fascinating variety, manages to provide a portal to that warm calming place which true pottery enthusiasts are constantly searching for and only occasionally find. If you are in the Washington area, the Japan Information and Culture Center is located on the lower level of the Lafayette Center atrium with entrances off the 20th and 21st Streets between L Street and M Street. Special thanks are due Joan Mondale and Ambassador Yanai and his wife for bringing this exhibition to Washington D.C.